There are currently no advance screenings in your neighborhood. Please sign up for an account today if you are not already registered. 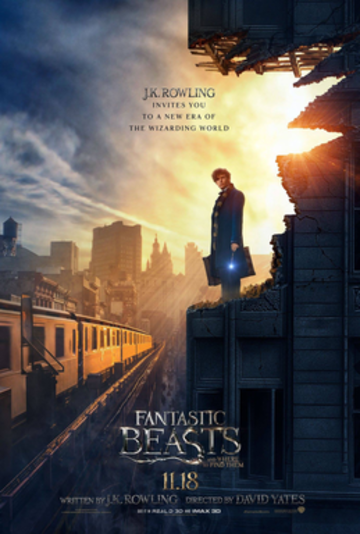 As the excitement builds for the November 18th opening of Warner Bros. Pictures’ new adventure “Fantastic Beasts and Where to Find Them,” fans will get to experience some of the film’s magic early at the global celebration A RETURN TO J.K. ROWLING’S WIZARDING WORLD. The worldwide fan event will kick off on Thursday, October 13th, at 8:30 p.m. GMT (3:30 p.m. EDT, 12:30 p.m. PDT) and simultaneously in major cities in the U.S. and internationally. Attendees will first be treated to a never-before-seen reel featuring some of the thrilling moments from the much-anticipated film, however this is not a screening of the film.